• We offer FREE shipping on all orders! • As most of the jewelries are hand-made, we need some time to make it once you make the order. We ship within 5 days of payment, usually sooner (in most case within 2 days). • We mainly use two shipping services including China Post registered air mail and e-Packet. e-Packet is only available to 38 countries and areas at present. Both of them can be tracked. If you want to get it within two weeks, we can use Expedited Service China post EMS to send (Please contact us to let us know). But you need to pay additional shipping costs for it. Note: Most of sellers use cheap service like China Post ordinary small packet plus which is slow, couldn’t be tracked and easy to be lost to send orders less than 15USD. We don't use this service for all orders. For package less than 60g, we use Bubble Bag to send. 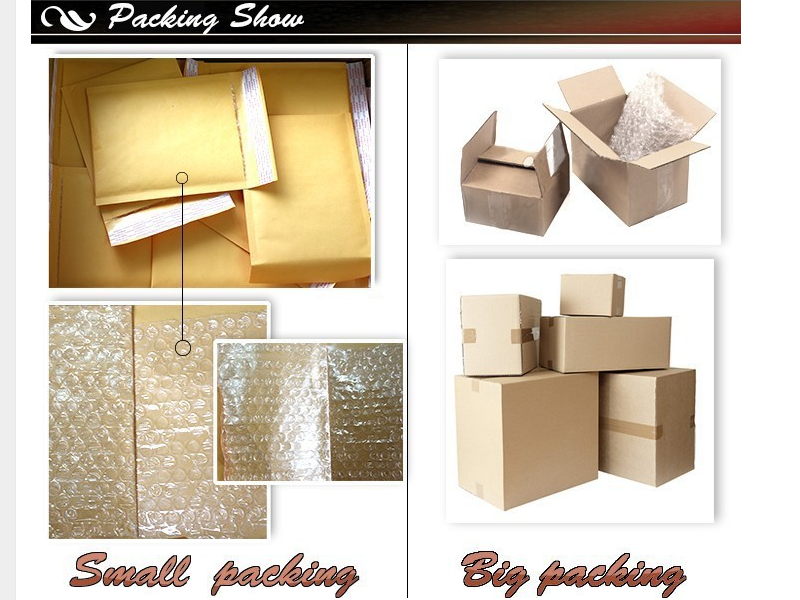 For package over 60g, we use Master Carton for packing. We ship Monday – Sunday excluding holidays such as Chinese Spring Festival (7 days holiday from Chinese lunar date of Dec. 31 - Jan. 6). We will postpone the dispatch time as China Post stops service during holidays. e-Packet takes about 10-30 days to reach to most of the countries. The shipping time during Holiday Season (Christmas, Chinese New Year etc.) could be longer than usual time. Please add another 5-10 days as a delay. In order to buy on https://store.yourchineseastrology.com/, you must be over 16 years of age and possess a valid credit or debit card issued by a bank acceptable to us. When placing an order you undertake that all details you provide to us are true and accurate, that you are an authorized user of the credit or debit card used to place your order and that there are sufficient funds to cover the cost of the goods. Please Note that monitor settings may vary from computer to computer and may distort actual colors. Please read these terms thoroughly before placing your bid. Please contact us immediately if there is any problem with your order. In case you received a defective item, the customer has up to 3 days from date of receipt to request for refund or exchange for a new one. You need to return it in its original conditionand must also be in its original box and packing. A Refund will be given within 2 days after the item is received back to us. Please contact with us with email request before shipping any items back. We will not refund shipping costs and do not reimburse for shipping back to me. In case you received a wrong item, please contact us immediately once you find the item you receive is different with the one you ordered. You need to provide the photo of the item of the wrong item. Once we confirm it’s a wrong one, you can choose to get refund or wait for more days to get the right one. A refund will be given within 2 days. We do not allow refunds or exchanges because of change of mind. Make sure to read all descriptions provided as a guide before you bid. We don't refund fully if you couldn't receive the item because you provide the wrong receiving address or you don't pick the parcel up in time that causes a return back. We will give you refund if you couldn't receive the item within two months after it's shipped.